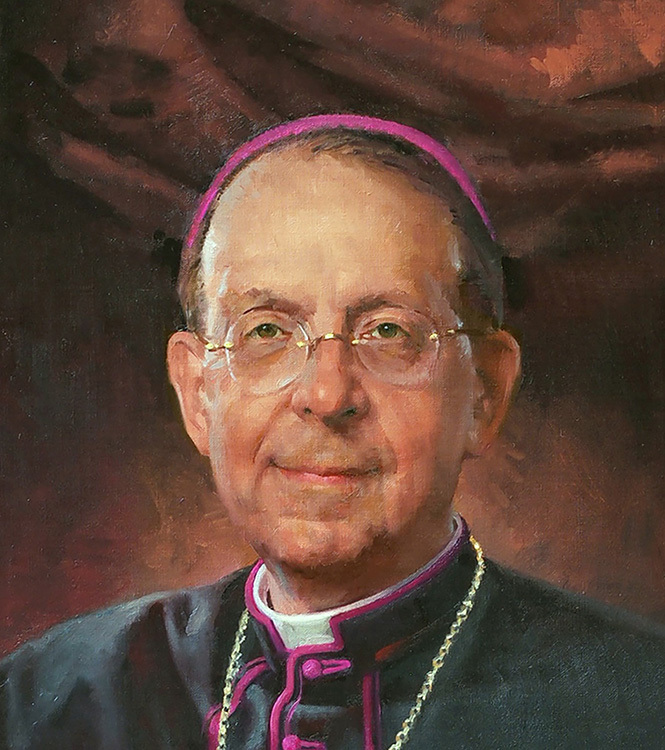 Archbishop Lori, in addition to his duties in Baltimore, also serves as Supreme Chaplain of the Knights of Columbus. Elsewhere in this exhibition of recent portraits, you will se emy portrait of Carl Anderson, Supreme Knight. 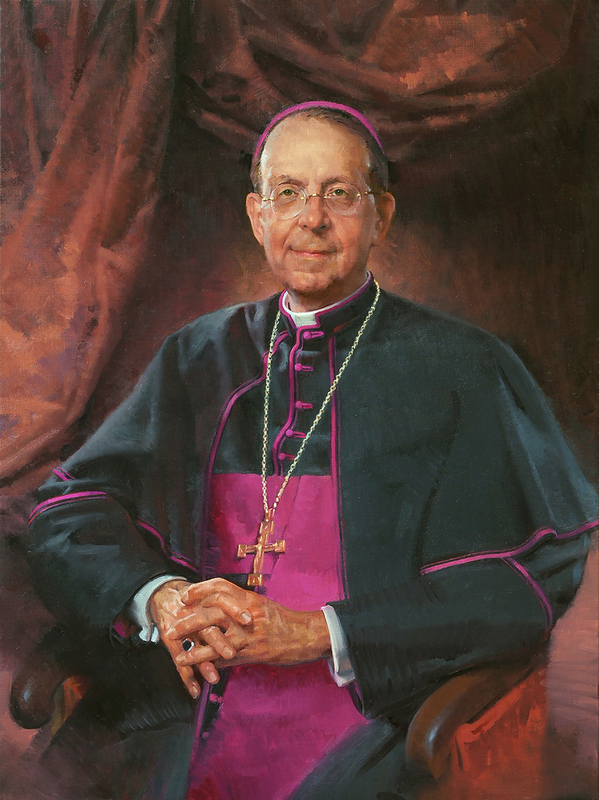 This portrait of Reverend Lori was presented to the Archdiocese of Baltimore as a gift from the Knights of Columbus. On an evening in 2016, my wife Elizabeth and I were guests in the Archbishop's residence at a dinner celebrating the completion of the portrait and its installation among the residence's collection. The historic residence was designed and built by James Hoban, architect of the United States Capitol, who also designed the Baltimore Basilica, known as America's First Cathedral. The collection of portraits in the Archbishop's residence includes several by Gilbert Stuart, portraitist of George Washington and many of the nation's founders. The Archdiocese of Baltimore is the oldest diocese in the United States, and, as such, is the premier episcopal see of the Roman Catholic Church in the United States of America.